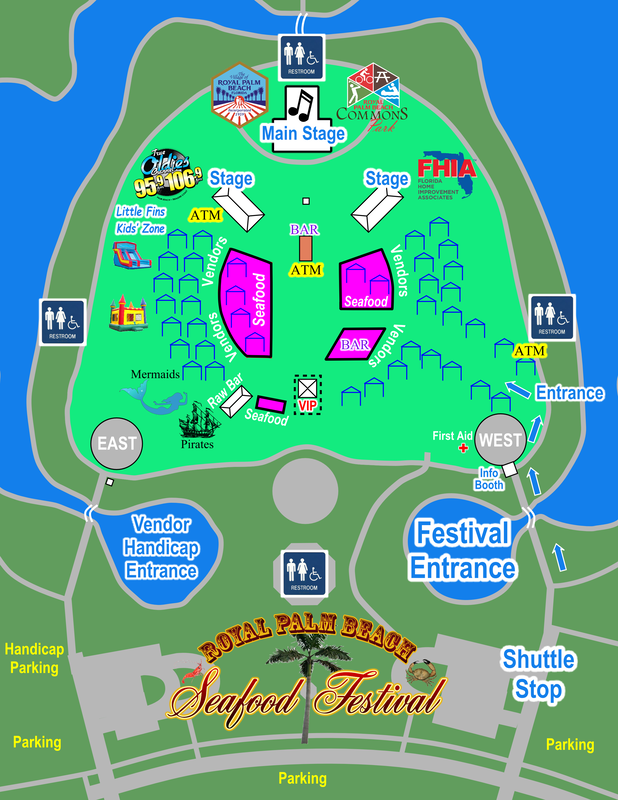 ​​Personal Tents, Large Umbrellas, Coolers, and Outside Food or Beverages are Not Permitted within the Seafood Festival. Wristbands for the Little Fins Kid Zone will be available for purchase onsite each day for $10 Entertainment, Performers and Scheduling subject to change without notice. ​Located within Commons Park, a beautiful 167-acre park with a Great Lawn surrounded by water in Royal Palm Beach, Florida. 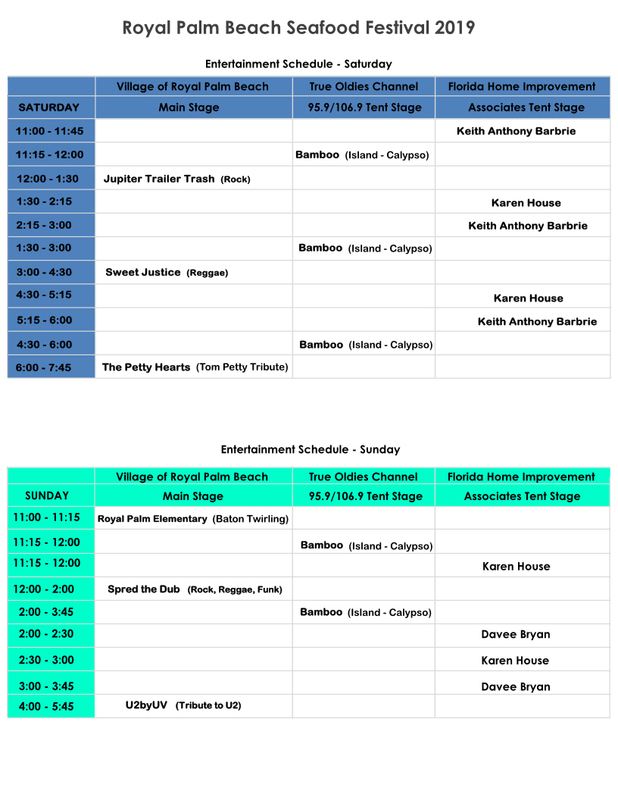 ​The festival offers plenty of Free on-site parking, Free shuttle bus service and will have an outdoor Raw Bar and lounge area and several big top shade tents for the dining comfort of our guests. ​​​Last year we had an amazing turnout even though the festival was rescheduled due to severe weather that brought heavy rain and flooding to the area. Unfortunately, several of our best seafood vendors were not able to attend the new dates which in turn caused a shortage of seafood and longer than normal wait times. 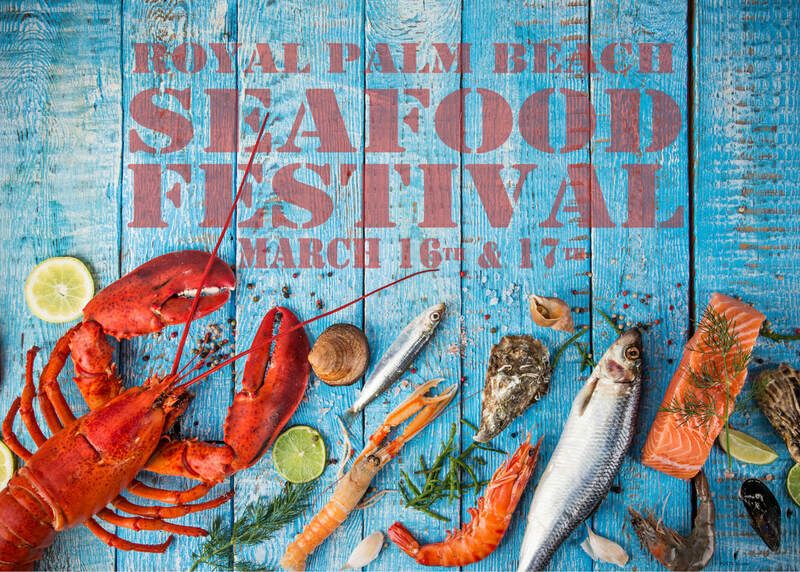 ​This year, in addition to our large outdoor Raw Bar and lounge area, the 2019 Royal Palm Beach Seafood Festival will offer a significantly larger selection of Delicious Seafood, prepared by an abundance of Quality Vendors and Local Chefs that will be well prepared to serve an even larger crowd. delectable dishes and tasty libations. non-seafood menu selections to choose from. 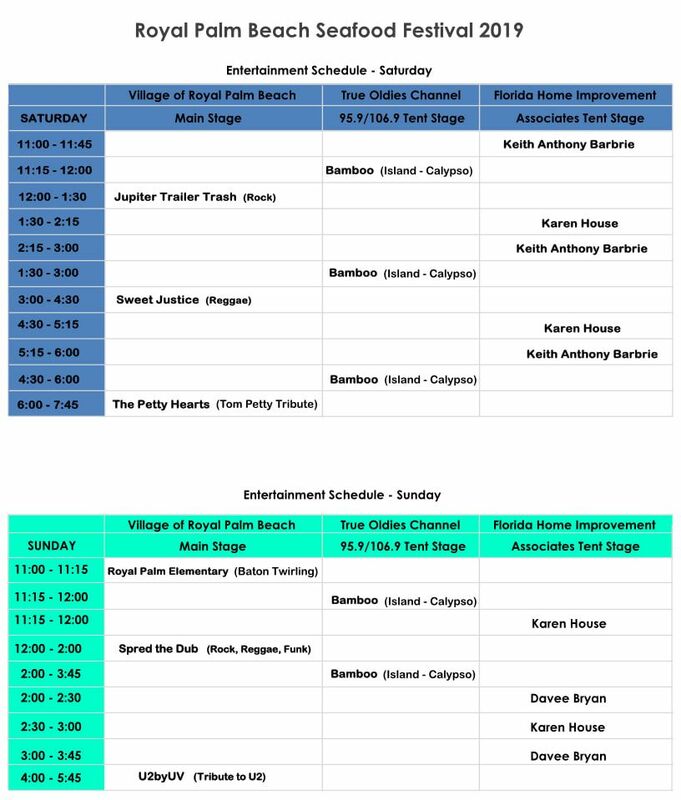 ​​The Royal Palm Beach Seafood Festival will also play host to some great live entertainment, interesting exhibits and displays, an assortment of Arts and Craft Vendors, Pirates, Mermaids and Ships, an interactive Kids’ Fun Zone and so much more. Sunday is Saint Patrick’s Day! While supplies last, the festival will be serving up Green Beer, Corned Beef & Cabbage along with other traditional Irish foods. Celebrate your Saint Patrick's Day with a Tribute to Ireland's most famous rock band, U2! Please Note: ​Personal Tents, Large Umbrellas, Coolers, and Outside Food or Beverages are Not Permitted within the Seafood Festival. Lawn Blankets and Folding Chairs are Welcome. ​Entertainment, Performers and Scheduling subject to change without notice. Click the button above for vendor information. For directions, click "Commons Park" on the above map. The Children's Healing Institute is the leading source for child abuse prevention and family crisis management expertise in South Florida. They partner, on a long-term basis, with at-risk families referred to them by schools, hospitals, police and other community agencies. The families they serve ask for their help, and they are committed to protecting children by helping their parents. ​You can help them in their efforts to reduce expenses by donating needed items, your time or expertise. Your contribution to help reduce items on their wish list is welcome and very much appreciated. They can always use gift cards to Gas Stations, Walmart, Target and Publix. Their Families have difficulty with necessities at times. Being able to afford gas to go to and from the hospital or doctor appointments. Motrin or cough syrup for a sick child. Sometimes they have a dietary need that is over and above what they normally can afford. The gift cards help us meet those needs.